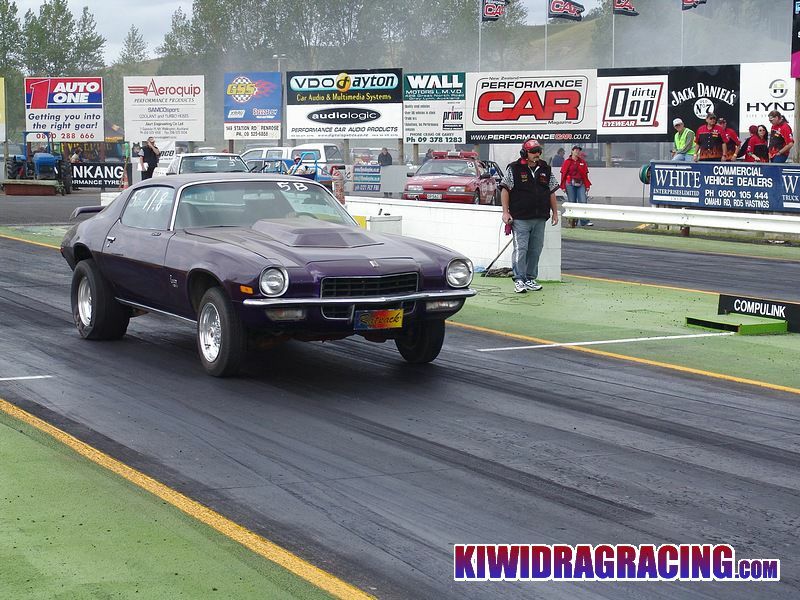 Champion Dragway's Summer Season officially got underway last weekend. 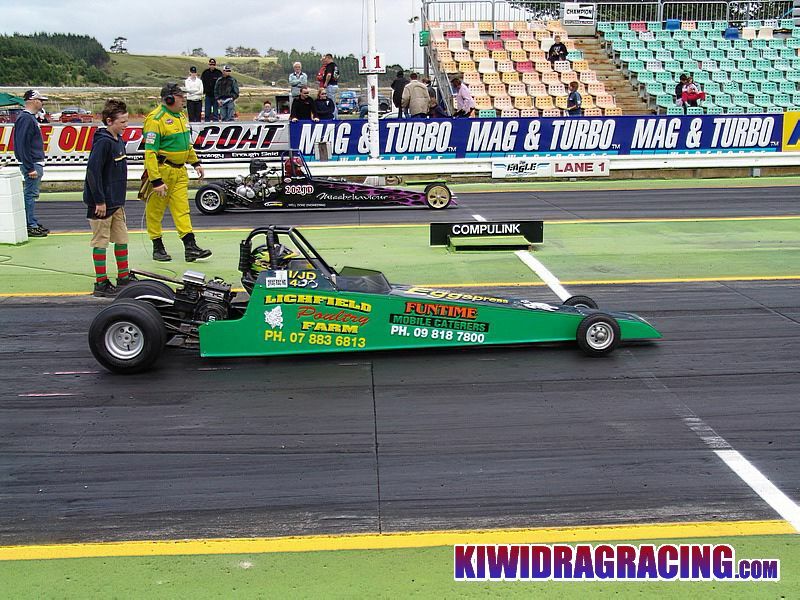 So what kinda name do you give to a Season Opening Meeting like this? 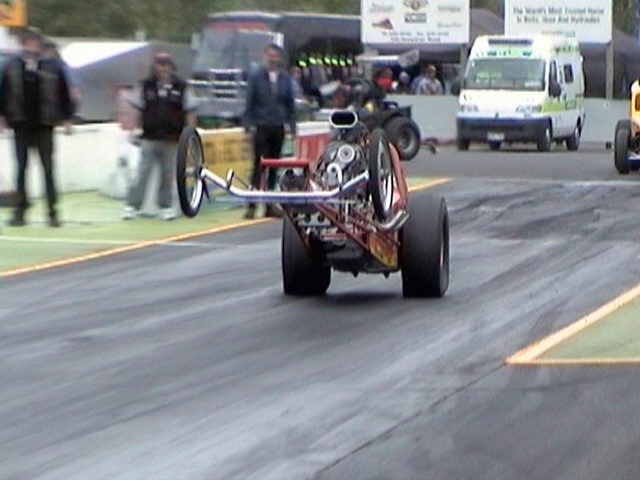 The '2004 WINDY NATIONALS' springs to mind! 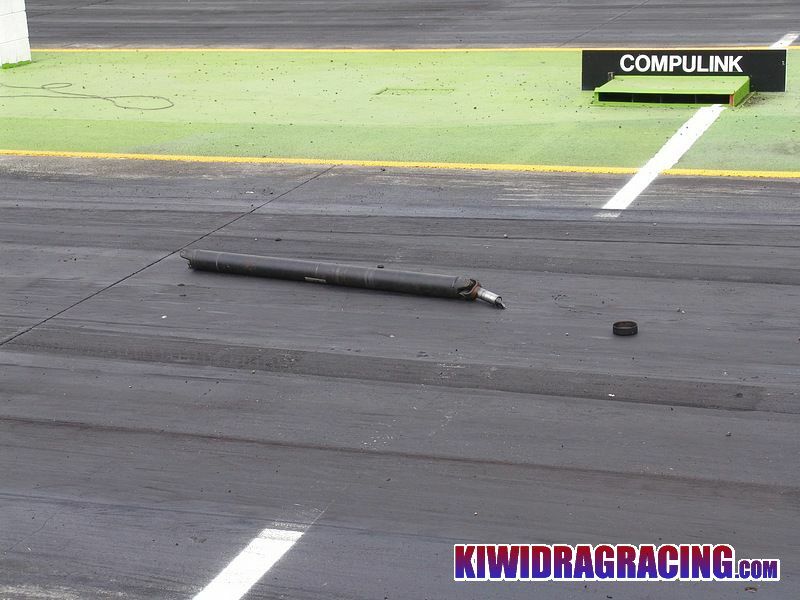 Well that definitely sums up the weekends weather that's for sure. 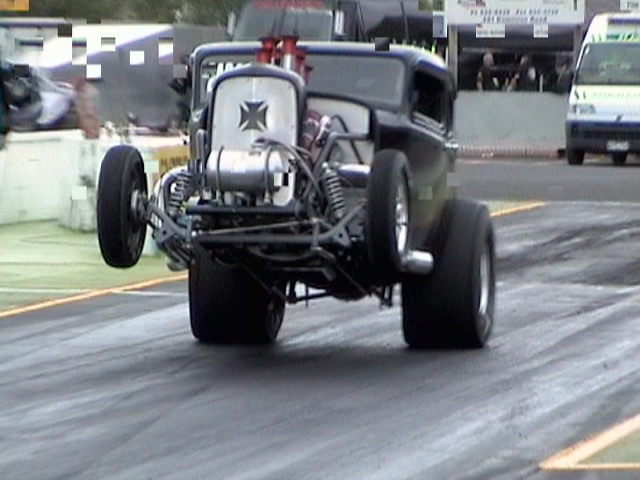 Rather like the sound of the 'THE WHEELSTANDING SEASON OPENER' better though! 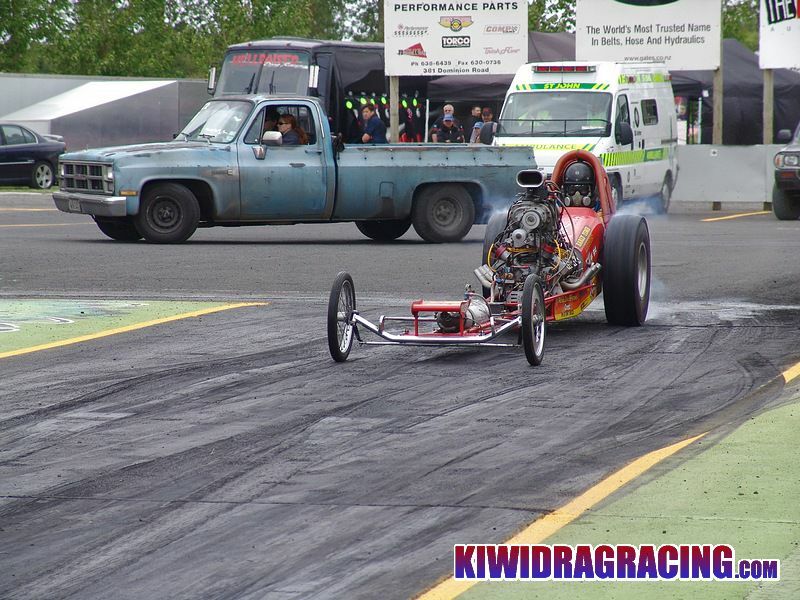 Congratulations must go to the track preparation crew for preparing one of the best hooking surfaces seen in a long time, if ever, at Champion Dragway given the lack of heat going onto the track from the sun. 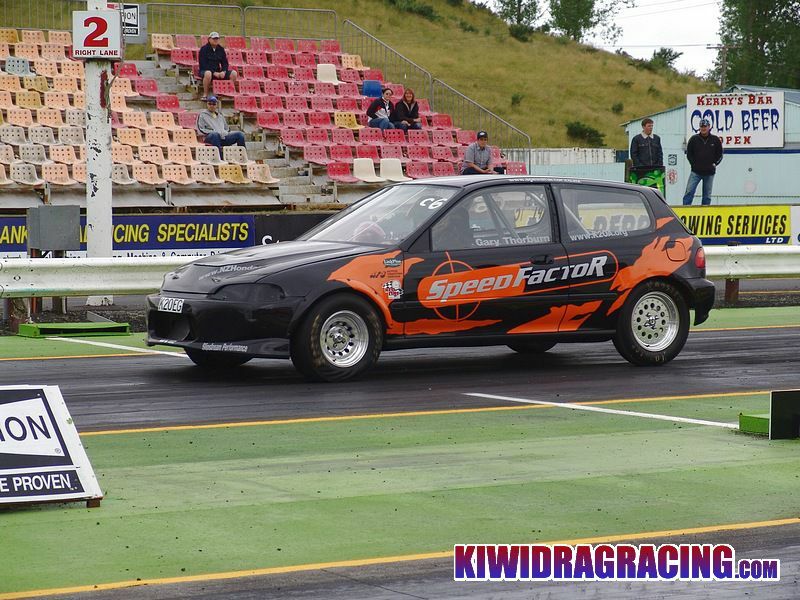 At least some sun was better than getting none! 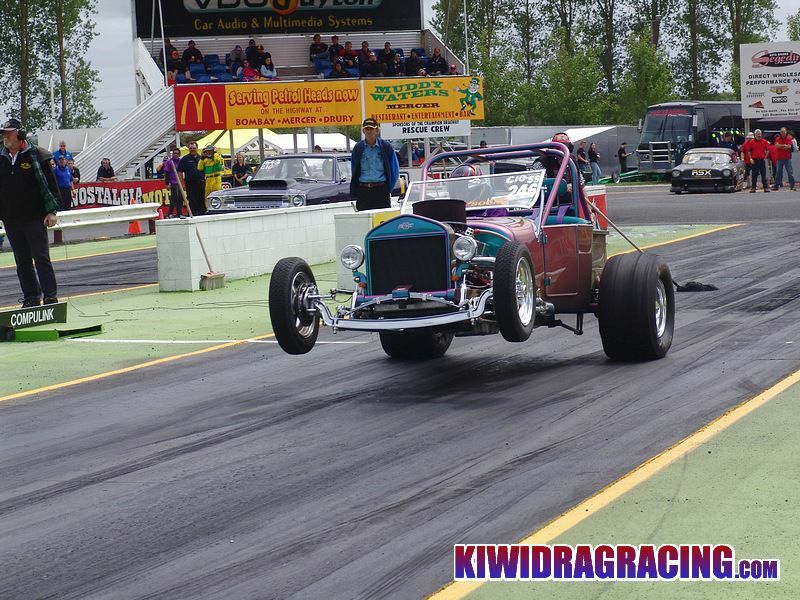 Lots of traction meant plenty of motor & driveline related carnage resulted. 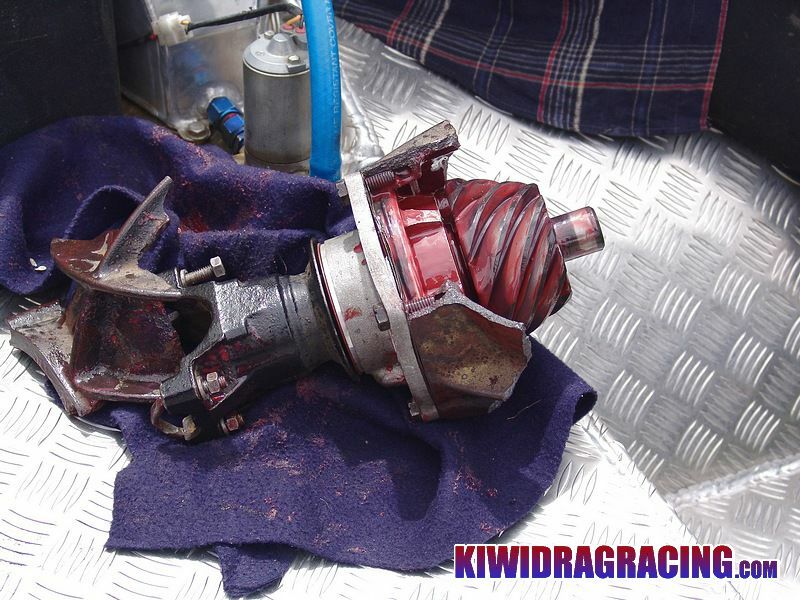 Motors, diffs and driveshafts being the main course meals being consume by the asphalt! 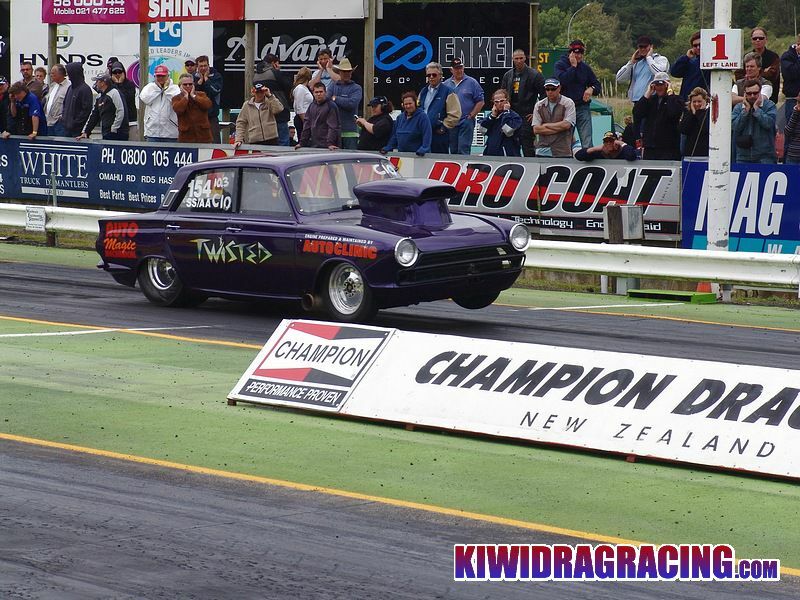 Generally a good turnout of vehicles across the the brackets catered for on the weekend. 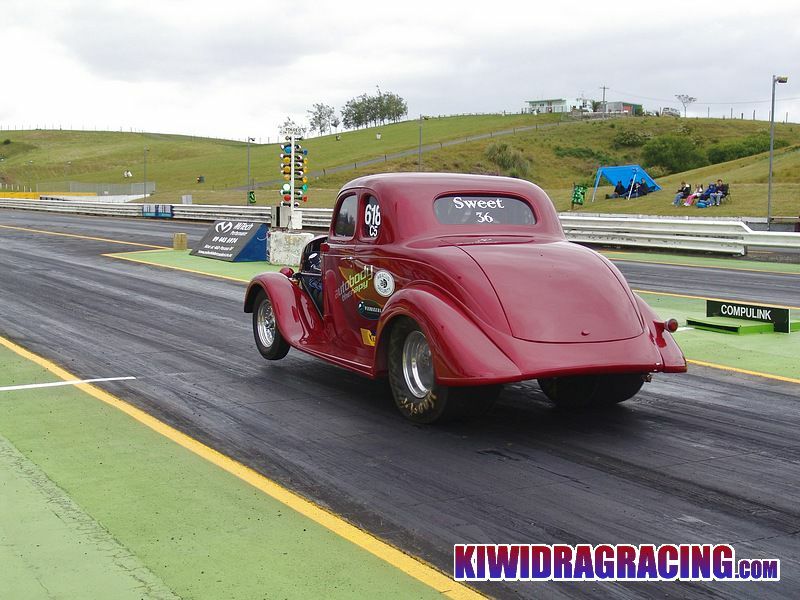 Unfortunately some racers from Saturday didn't return for Sunday and new car blues or breakages during eliminations reduced fields, come finals time. 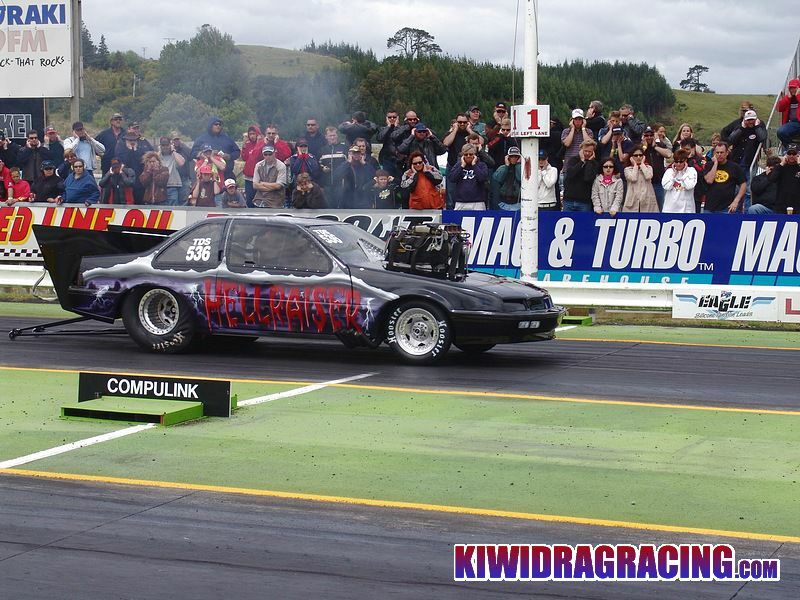 Again crowd numbers were down...way down. 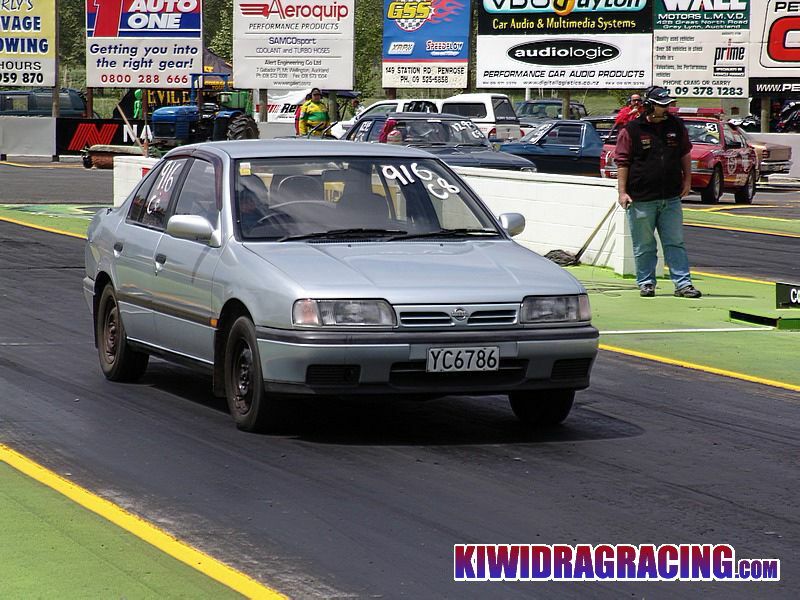 Early days in the season so lets hope things will pick up. 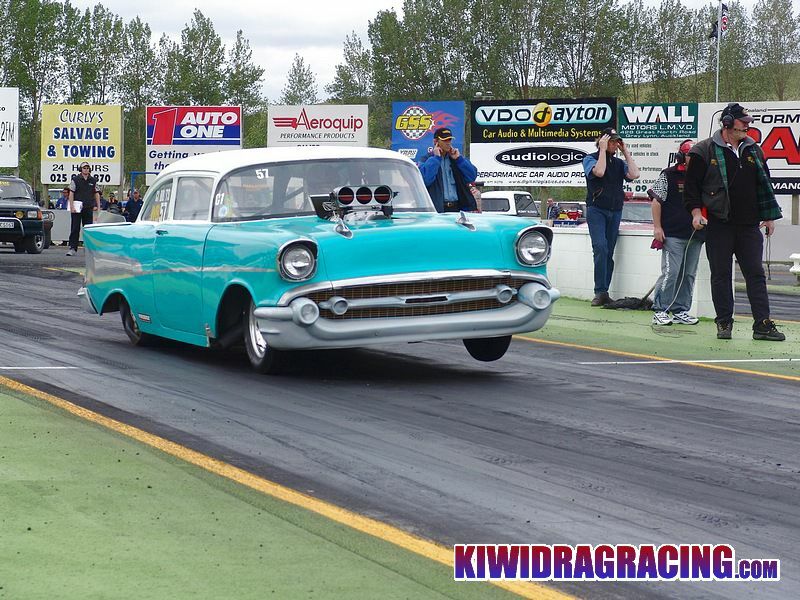 Top Comp practice and qualifying had a large field of cars make it to the line. 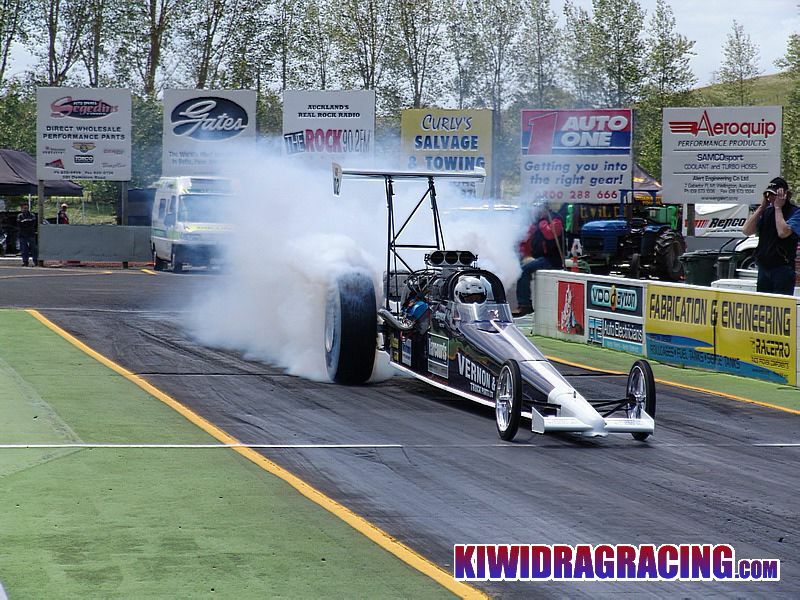 Notables included the re-appearance of the Rowan/Rivers funny car after a few seasons break, running their older motor combination that produced a 7.01 second run on saturday. 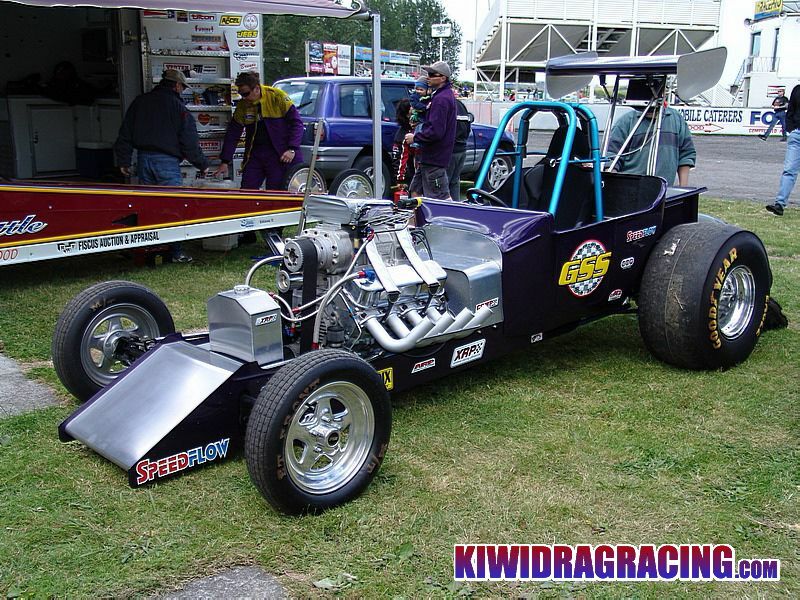 Possibily their best ET to date. 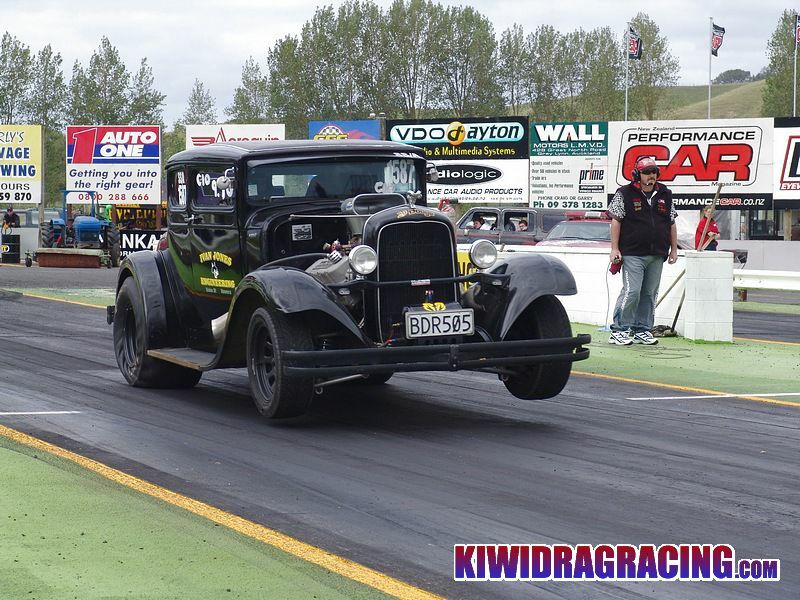 The supercharged Lodge rail cracked their first 6 second pass during a match up with Ray Peterson's similarly configured rear engine combination. 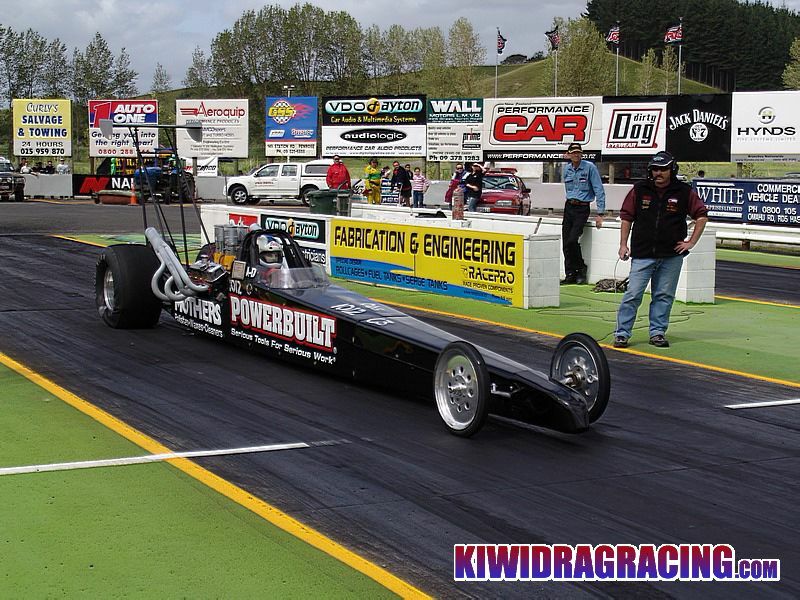 Both ran identical 6.97 ET's with the Harcourt's car winning on a better reaction time. 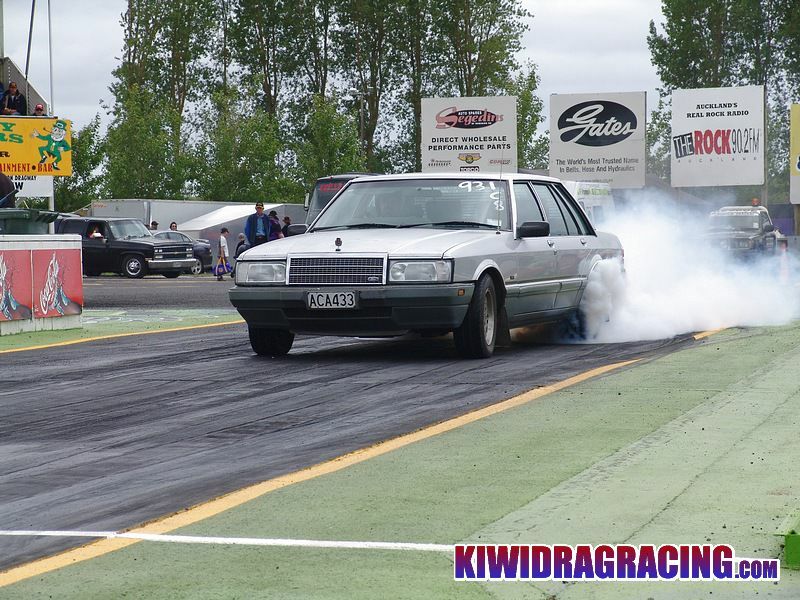 The street divisions were abundant with many stout, 11 second cars all ganging up on the 10 second zone! 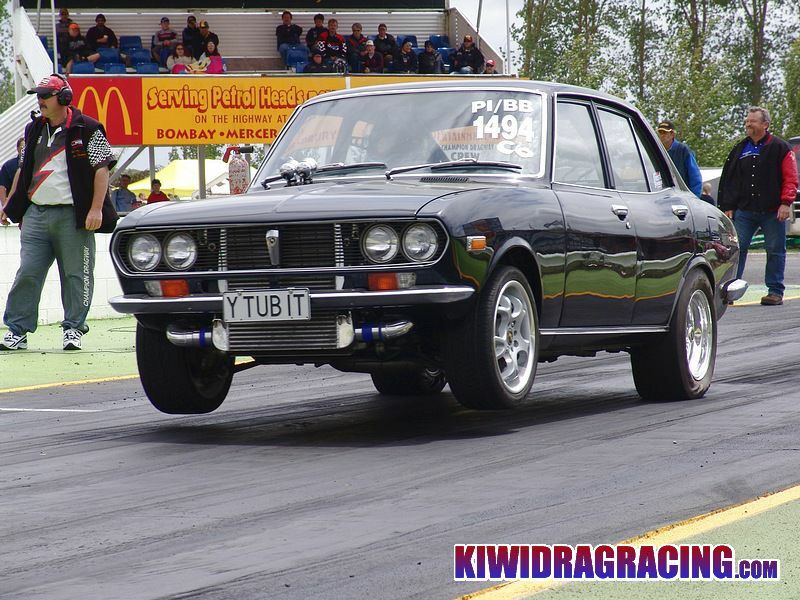 Many of these streetable cars would be right at home running in the 10:90 second bracket from years gone by....bring back the 10:90 bracket!! 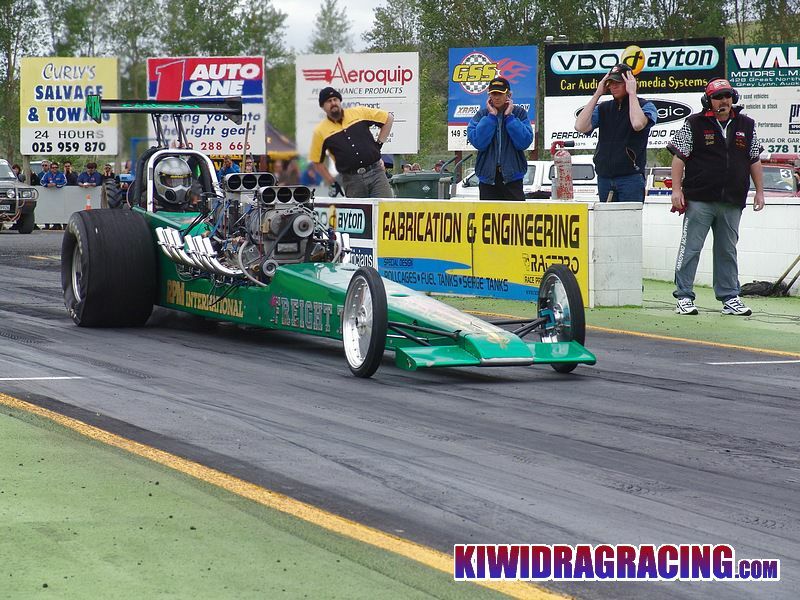 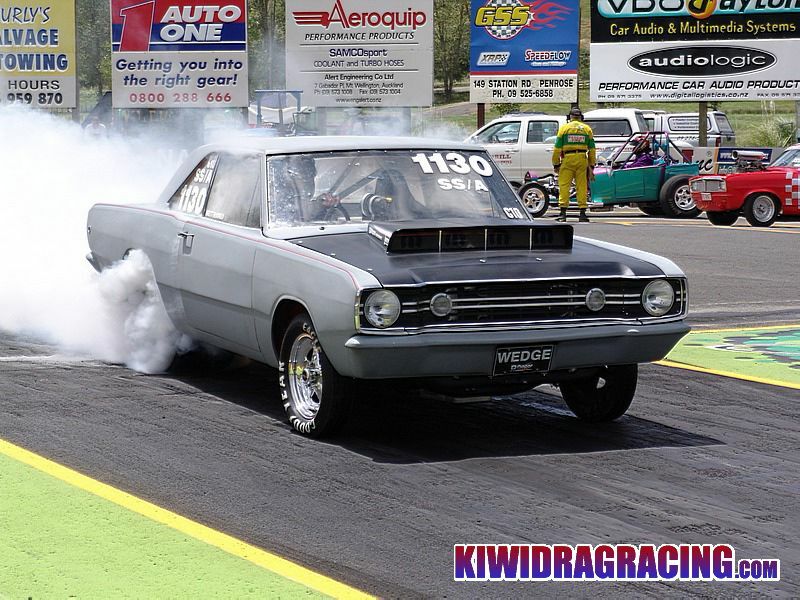 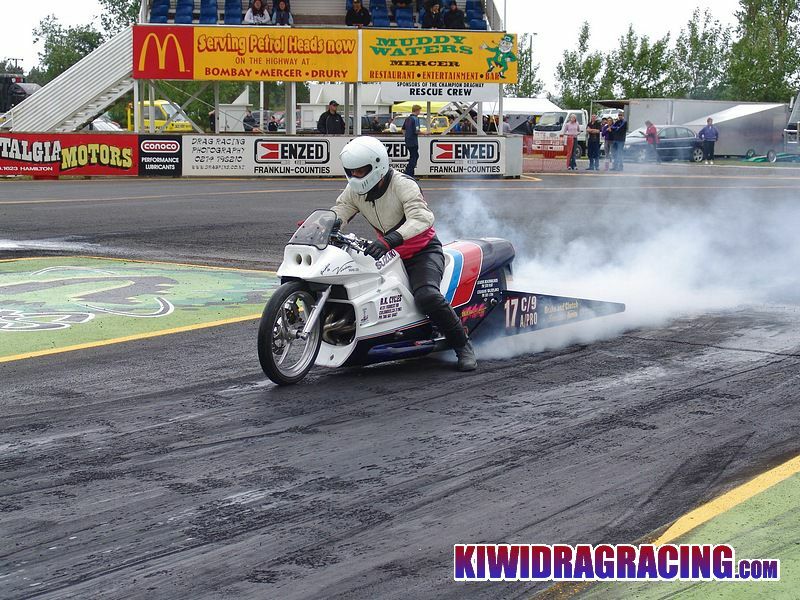 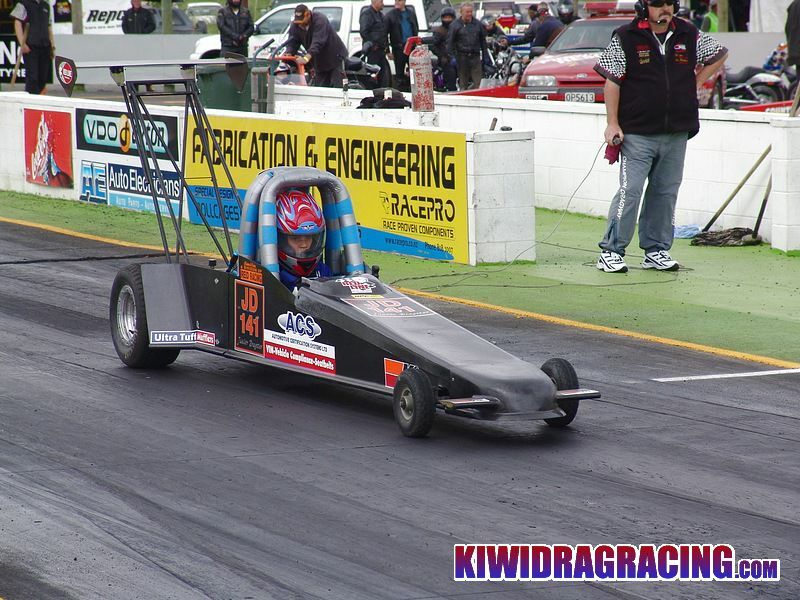 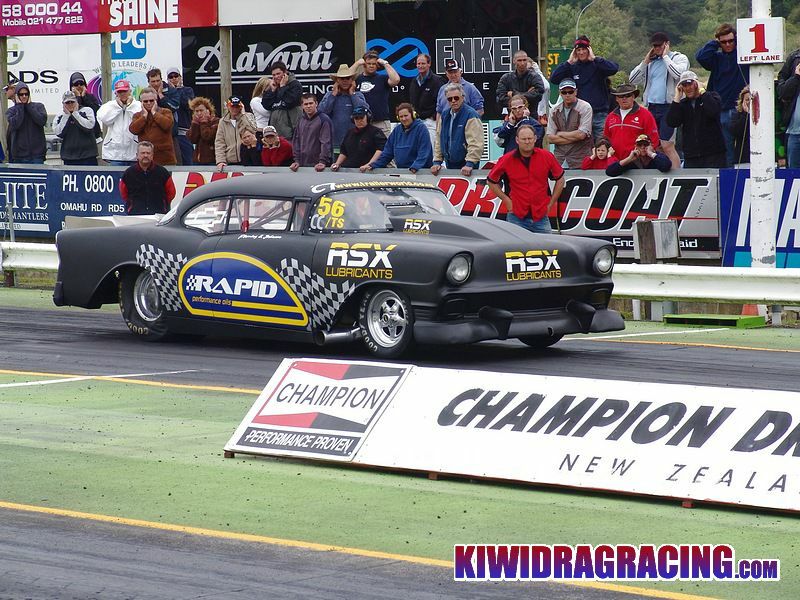 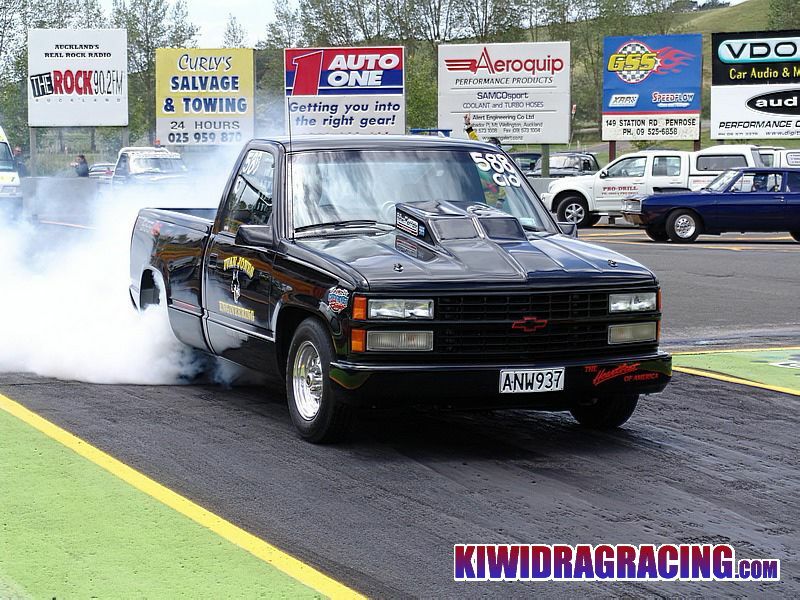 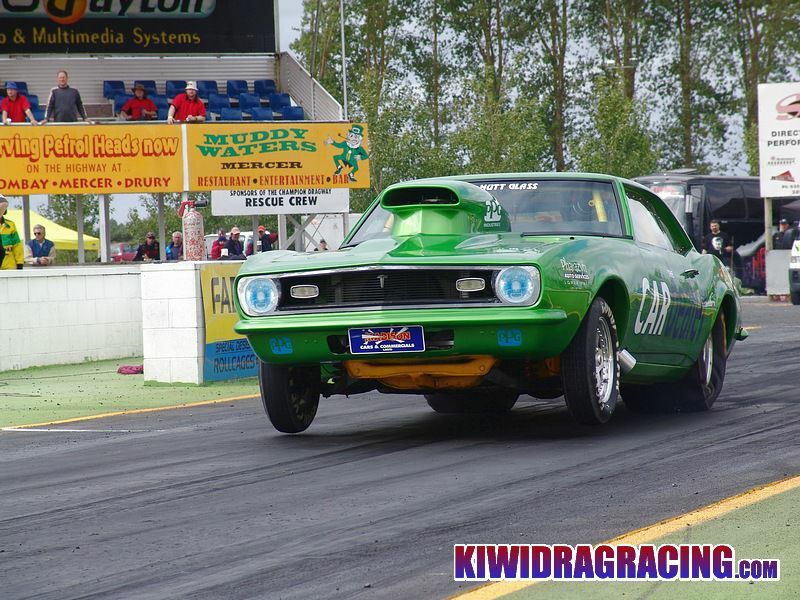 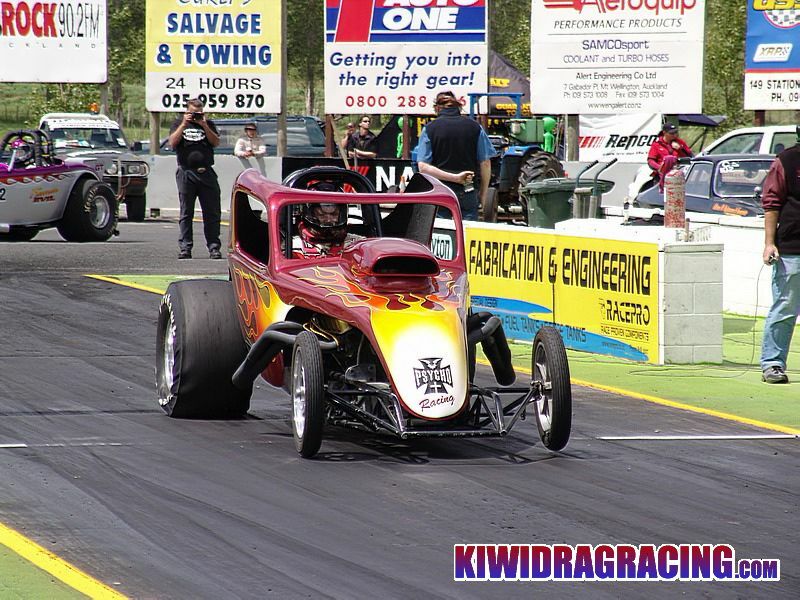 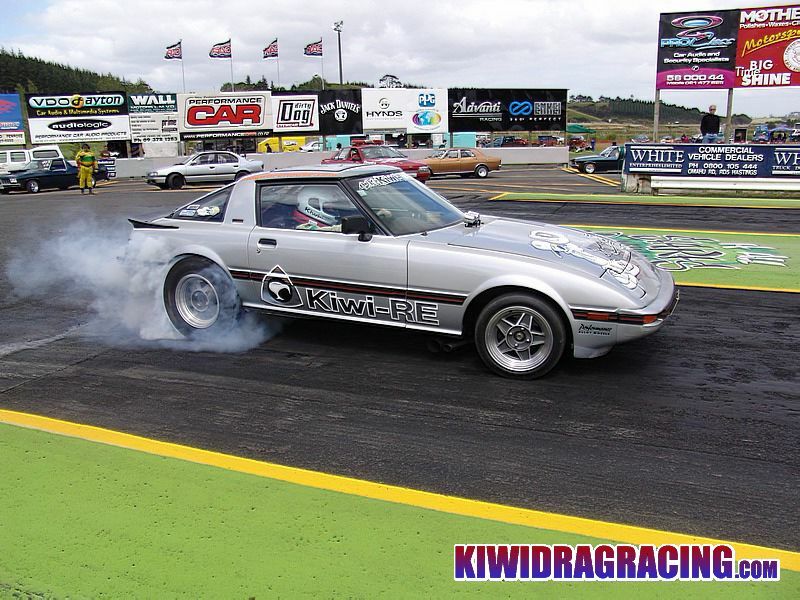 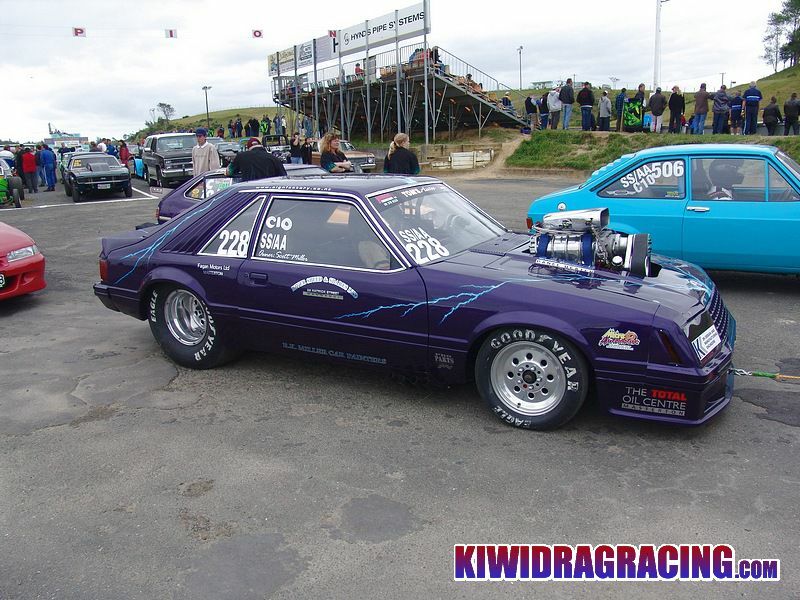 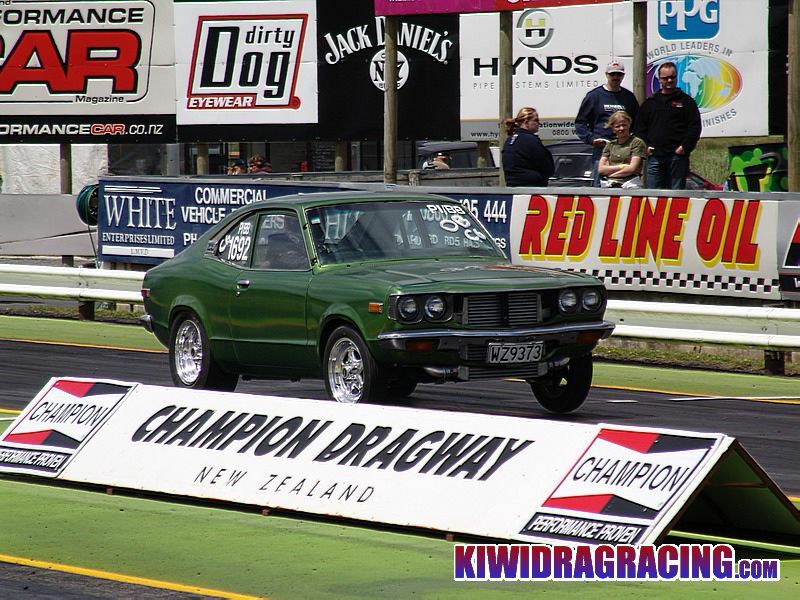 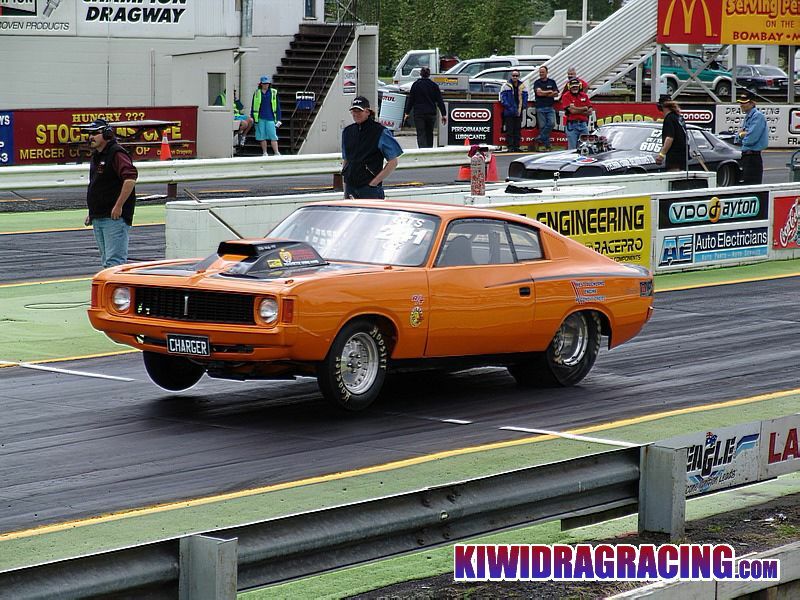 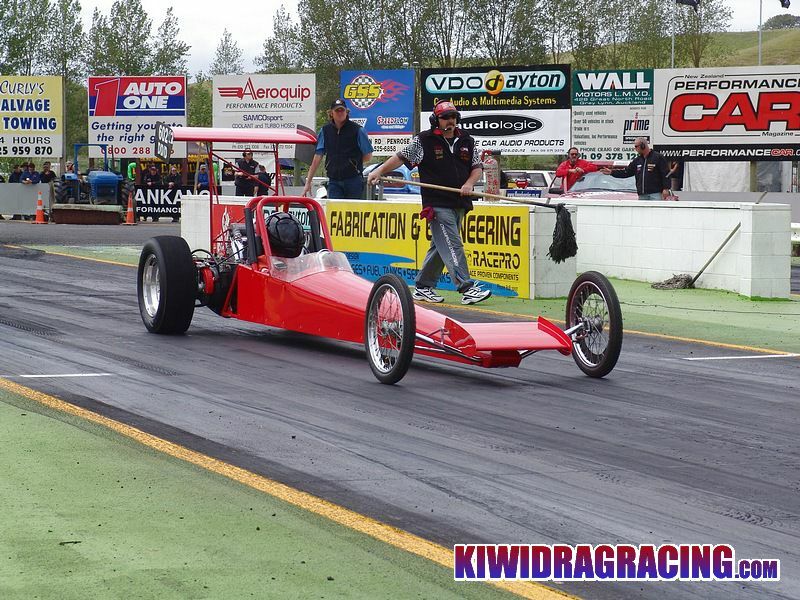 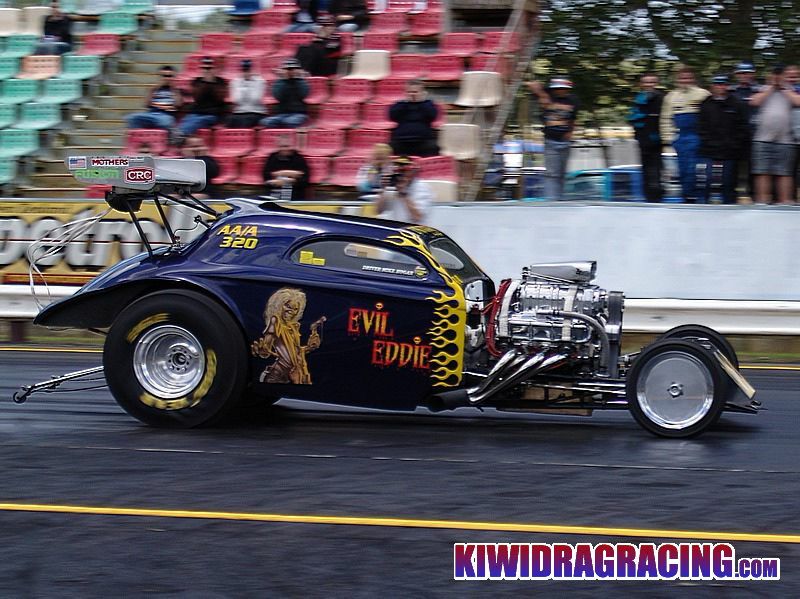 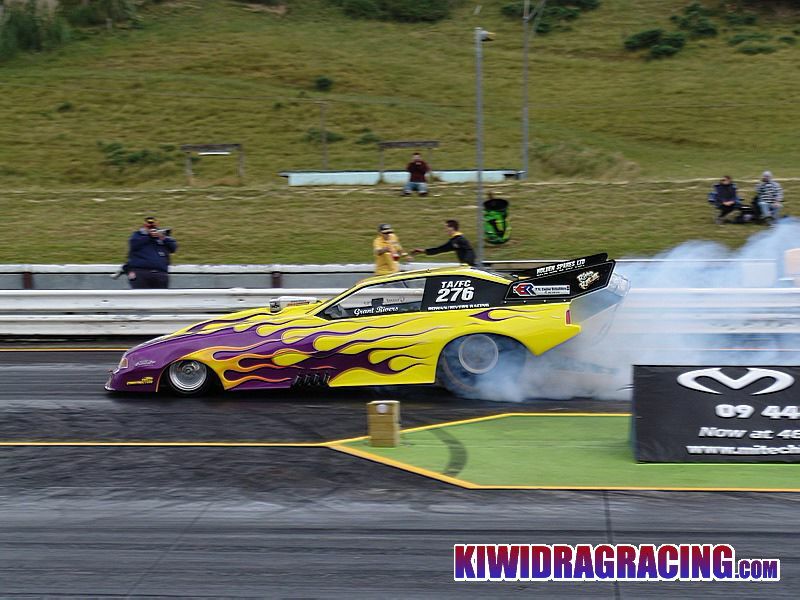 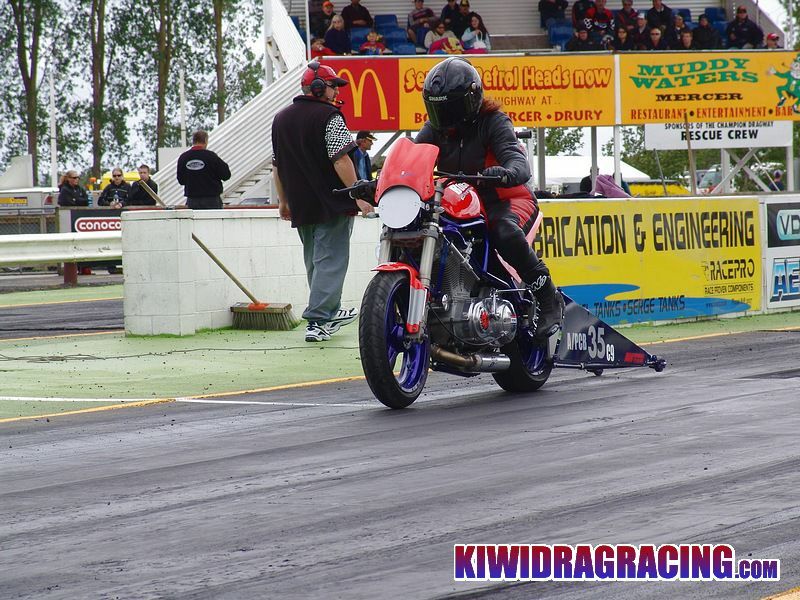 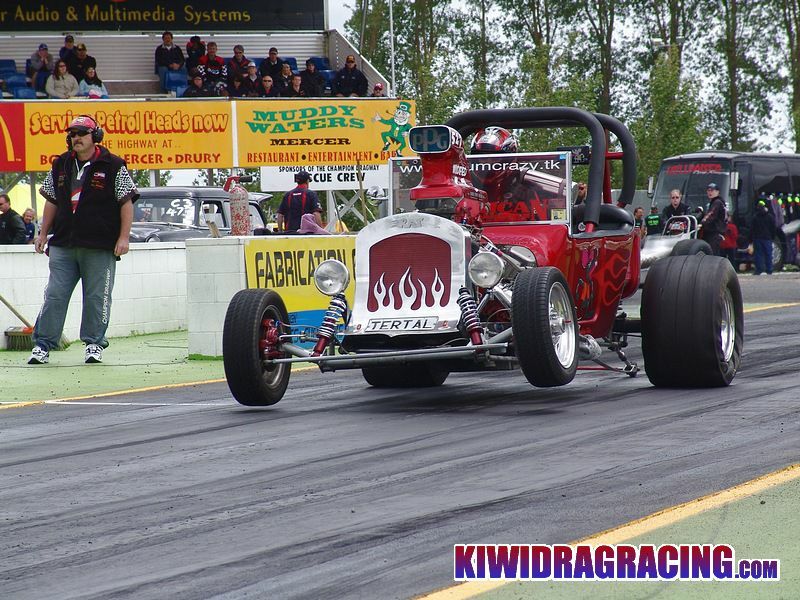 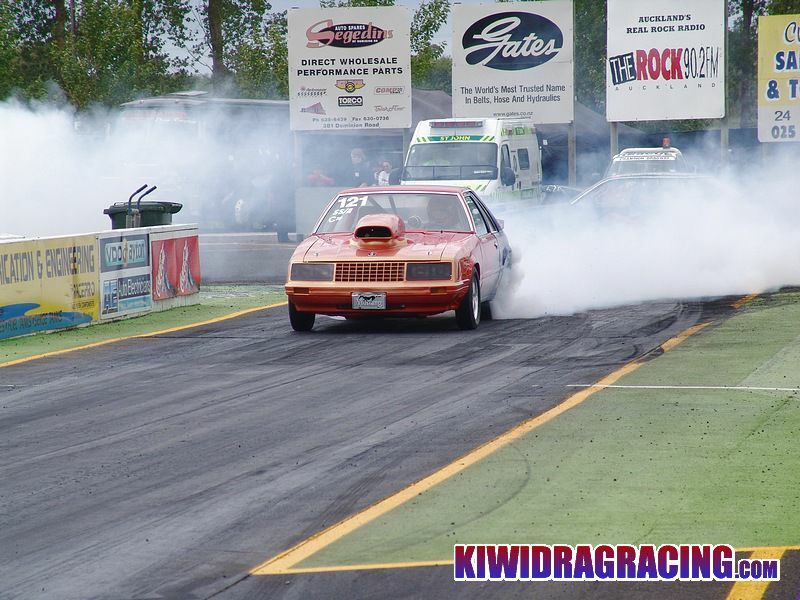 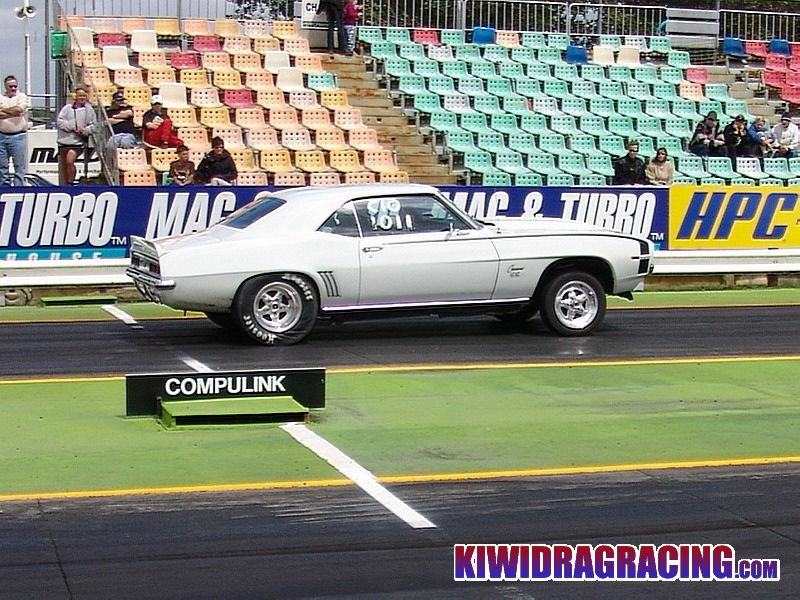 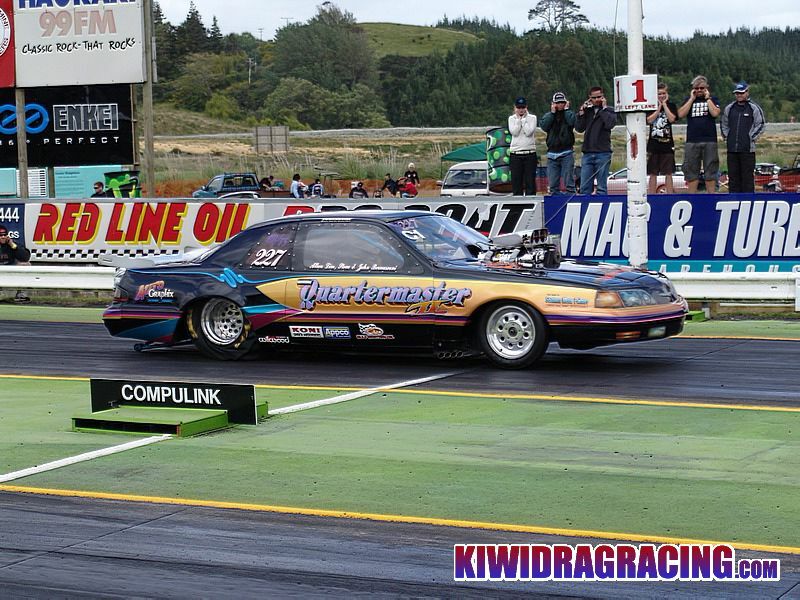 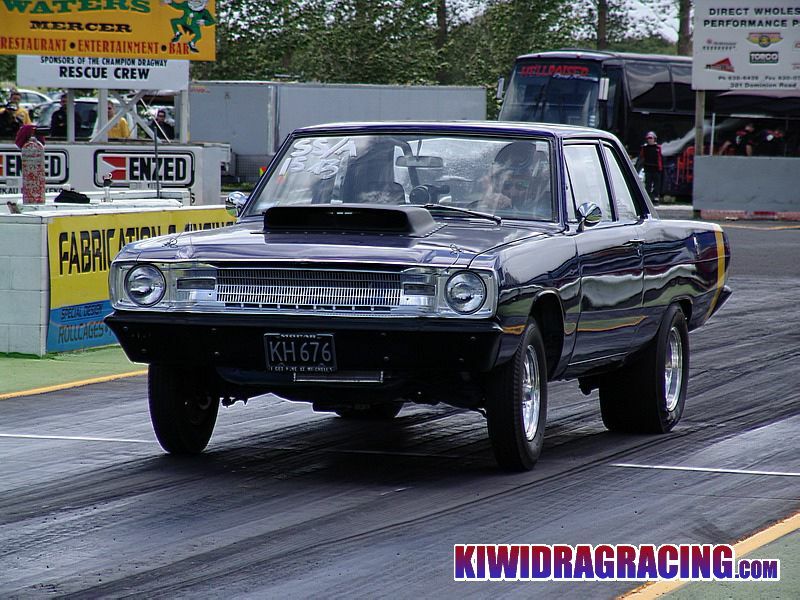 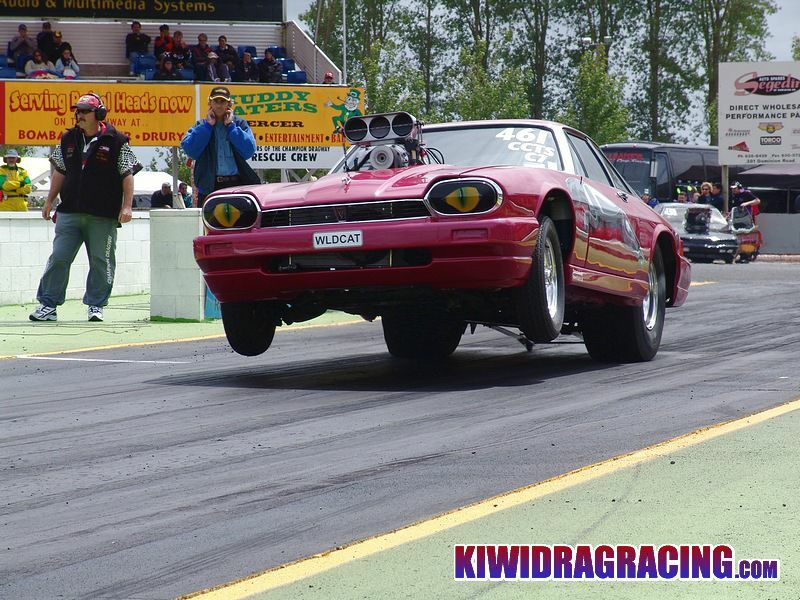 Check out the meeting results at championdragway.co.nz for full race analysis from the meeting.